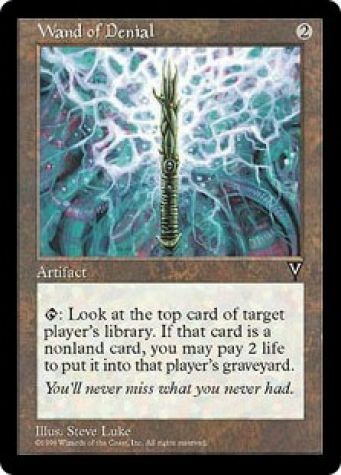 : Look at the top card of target player's library. 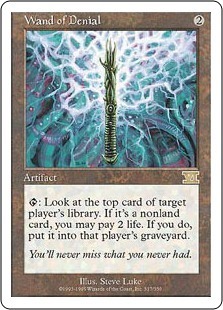 If it's a nonland card, you may pay 2 life. If you do, put it into that player's graveyard. You'll never miss what you never had.